We know that tattooing and body piercing have been around for at least twelve thousand years. In more recent times, we have ample evidence that the practice of body modification of one sort or another has been used for many centuries in many diverse cultures and races throughout the world. To denote tribal leaders and people’s individual rank within the tribe or clan hierarchy. A form of rite of passage for the young men (and sometimes women) in a tribe. A form of ‘charm’ or talisman that will bring good luck, wealth, happiness, fertility, long life, and so on to the wearer. Even in today’s modern world, these ancient practices and beliefs survive amongst certain tribes in Africa and amongst the peoples of Polynesia and the South Sea islands. Strongly held beliefs in the spiritual aspects of body modifications can also be found in South East Asian countries such as Thailand, Cambodia, Vietnam and Burma. Over the past two centuries, body modification in western cultures – especially tattooing – has been more or less the preserve of prisoners, gangs, and the seafaring fraternity. However, there have been instances of tattooing becoming popular for periods of time amongst the aristocracy in both western and Japanese cultures. But in the past fifty years or so, body modifications have increasingly become a part of mainstream culture in western societies. It is a trend that is growing year by year, and few expect the practice to slow its rapid growth anytime soon. So what has given rise to the increasing popularity of body modification in the 21st Century? There are many reasons, but there is little doubt that the trend started amongst adolescents in their late teens and early twenties. We saw it clearly with the punks and skinheads of the 1970s and 1980s, and as the ever growing number of tattoo studios sprung up across the western world; youngsters have flocked to get their skins modified in ever increasing numbers. What is the attraction of tattoos amongst the younger generation? Identity – at its root, the desire for young people to modify their bodies is because they want to assert their individual identities. Along with having their own dress, hairstyles, music, dance, art, slang words, and the latest pop cultures, tattoos and piercings have become a major part of this need to declare themselves as individuals – and not be just one of the crowd. Rite of Passage – As with the tribes of old, modern youth also feels the need to go through a form of ‘initiation’. Pain is part of this initiation, and a teenager who can show he has been brave enough to have his or her body pierced and has spent hours under the tattoo gun will gain respect from his peers. In an increasingly violent and disjointed society, many people who have gone through much mental or physical pain and abuse in their young lives actually find the pain of a piercing or tattoo cathartic. Art – Tattoo designs are a work of art and can be extremely attractive. If you go to a studio such as ALL DAY TATTOO in Bangkok, you can choose a beautiful design to be inked on your skin by one of our internationally renowned tattoo artists. Many satisfied customers come back again and again to renew their experience with our wonderful artwork. Meaning – Again, as with the tribes of old, people today often attach all manner of spiritual meanings to their tattoos. Meanings may have been adopted from ancient beliefs, or they may have a more modern twist; but either way, it provides the wearer with a sense of wellbeing and security. How has body modification become so mainstream? Unlike many lifestyles adopted by the younger generation, they will keep their tattoos as they grow older and as such – slowly but surely – these body modifications are becoming more widely accepted in the adult world. This is particularly so with tattoos, which are very painful and expensive to remove, whereas jewelry piercings can be taken out and the pierced skin will heal. Then there are the growing number of adults in their twenties to fifties – and even older. They like what they see and decide to join the growing legions who have already inked beautiful drawings and designs on their skins. With an estimated 61% of all American adults now wearing at least one tattoo or body piercing, we are fast reaching the tipping point where body modifications are becoming accepted in almost every aspect of society and socio-economic groupings. Many professions and industries are now fully accepting of people who wear visible tattoos, and there is a growing tendency in even the more conservative professions to hire people who are inked. After all, many of the hirers have already inked their own bodies. So now you know you are not alone, why not join the ever-growing world-wide phenomenon and indulge your fantasy? 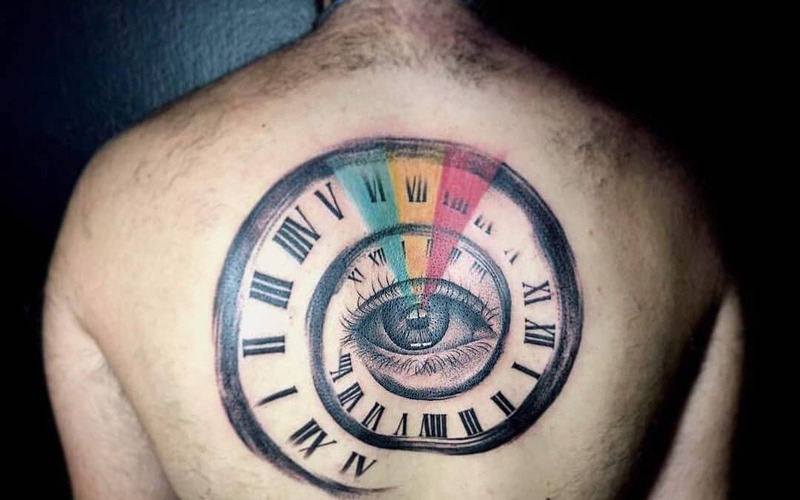 Why not have one or more tattoos inked on your skin, and what better place to make a start, (or to continue your tattoo journey), than at ALL DAY TATTOO in Bangkok? Our Tattoo Studio will be delighted to discuss your ideas and help you to put them into practice. Click on the button below to arrange your free consultation, with no obligations.